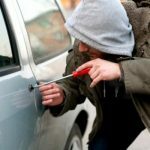 As a mobile automotive locksmith, I’m thinking how easy is to replace your car keys in the U.S. Think about that, since you realized that you’ve lost your only auto key, you start calling local auto locksmiths for help. You spoke with few of the locksmiths around your area, and you choose the one that impressed you most. A half-hour after your first call, a locksmith arrives to work on your vehicle. He provides you a new fresh cut and programmed transponder key. You’re able to drive your car again within one hour, at the most. It can’t be easier and faster than that. Losing your car keys can be very frustrating, depending on the car year, brand, and model. Yet, the process of making your automotive keys is easier in the U.S than in any other country around the world. The American OEM service in the U.S is the best and fastest in the world. I have a personal and quite embarrassing story of myself visiting Amsterdam, Netherlands. My wife and I have visited Amsterdam for 3 days. In one early morning, on the way to Madame Tussaud’s Museum, I’ve lost my car key. The 2016 Toyota Prius that I’ve rented for our 3 days of the trip. Before going to the Museum, we woke up early morning, having some shopping for snacks and food for our day. We walked along the streets of Amsterdam, enjoying our morning. We arrived in the car and I looked for the keys, they were nowhere to be found. To be honest, it was very frustrating. I tried to remember where I left them or maybe they fell out of my pocket during the walk. I called the company I’ve rented the car from, only to be told that it takes 2 weeks to replace the key and fob. As I’ve been told, they need to call Japan in order to send a new key and a quote of $1500EU. I almost got fainted. It is a car key that I can do on the spot, within one hour, at the most. I called several locksmiths online with no much luck, just to find out that I need to schedule an appointment. None of them could make it or was available in a short time of notice. We went back step by step, searching for the lost car key, in the end, we found it in one of the stores we visited early morning. The cashier kept the keys under the shelf, waiting for us. Our trip was saved, and we were able to keep our visit after a short delay. In the final analysis, I found out it much easier to replace a car key in the U.S than it is in Europe. I believe it because the European Locksmith Federation and the OEM Service works differently than the American the Associated Locksmith Of America (ALOA) or the National Automotive Service Task Force (NASTF). Unlike the situation I experienced in the Netherlands, the American OEM service is very fast and efficient. An automotive locksmith that can make car keys will be able to replace your lost key in a short time of notice, and on the spot. LockTech24/7 is a full suite of automotive locksmith services, started with a quick car lockout assistant to auto keys replacement and ignition lock repair. As a matter of fact, think about the comfort you can have by calling LockTech24/7. We are available 24/7 to help you any time you need our emergency automotive locksmith services. It doesn’t really matter if you need to replace Ford car key or Honda car key, we can do them all, on-site, and within 20 minutes of your call. Call us whenever you need car keys made services. You can also call us when your only key suddenly stopped working and you need to re-program your auto keys. 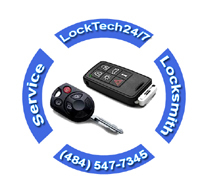 When it comes to car keys replacement service on site, your best option may be calling LockTech24/7. As a mobile automotive locksmiths, we serve the entire Lehigh Valley PA. That include, Allentown, Easton, and Bethlehem PA, and surrounding area. Be that as it may and you are in a remote location surrounding the Lehigh Valley PA, please call us and we try to help you in a short time. As long you’re in the U.S, we can replace your car key with no hassle, and in no time. Unlike in Europe, we’re able to to cut and program a new transponder key to your car within an hour. It is easy to replace a car key in England as it’s in the U.S. I’ve lost my 2005 Jaguar XJ keys and was able to replace it easy. How often Jaguar keys are needed in the U.S? Hello LockTech24/7, unfortunately, you are right. It is probably easier to replace car keys in the U.S.A, than in Europe. I’m living in the Netherlands and I’ve lost my Mazda car key, it took me two weeks to replace it, it was a pain.